Kenya will not receive financial assistance from the Netherlands beginning 2020, the European nation has said, citing “significant” economic growth in the past decade that has turned the East African state into a middle-income economy. The decision is expected to hit hard programmes supported by the Dutch government, which benefit some of the neediest segments of the Kenyan population as well as key governance institutions. The Business Daily talked to Lilianne Ploumen, the Minister of International Trade and Development Co-operation of the Kingdom of the Netherlands, on this defining policy shift and the road ahead for Kenya-Netherlands relations. Here are the excerpts. You recently announced that the Netherlands is phasing out its aid programme in Kenya – citing the fact that the East African nation has become a lower middle-income country? Is this a new or a long-held policy? This, I must say, is a positive development because it is the result of the progress Kenya has made in recent years. We are not, in any way, saying goodbye to Kenyan friends. To the contrary, our aim is to cultivate an even stronger relationship on a more equal footing. Kenya is now rated a lower middle-income country, which means that the role of official development aid as a driver of inclusive socio-economic growth is diminishing. Private sector development, innovative financing, market development, technology transfer and a healthy business climate are objectives that can be pursued effectively by the Netherlands and Kenya through a bilateral relationship that is based on partnership. The Netherlands is therefore gradually shifting its focus from traditional foreign aid modalities to increased support of private sector development, making the Dutch-Kenyan relationship future-proof. The Netherlands introduced a new development co-operation strategy in Kenya in 2014 — with a well-known slogan, “From Aid to Trade”. The centre-piece of this strategy is the twinning, where possible, of aid and trade. This strategy is valuable because it recognises the crucial role of trade and investment in social and economic development. It recognises that particularly in emerging countries with a growing middle class and growing investment levels, the private sector becomes a powerful vehicle for development. What is the value of the Netherlands’ total aid to Kenya to date? In 2013, the amount of Dutch bilateral aid to Kenya stood at EUR 25 million (Sh2.8 billion). This has gradually decreased to EUR 15 million (Sh1.6 billion) in 2016 and will be phased out by the end of 2020. This will, however, not affect other Dutch support to Kenya that comes directly via headquarters in The Hague or through multilateral organisations such as the World Bank, the European Union or United Nations agencies. These are mainly programmes on global challenges that also affect Kenya, such as environmental degradation, migration and security. You’ve recently informed the Dutch parliament about this decision. 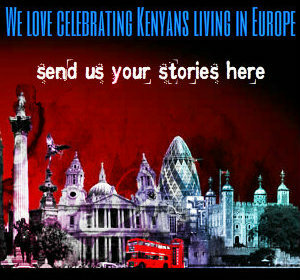 How did you communicate with your Kenyan counterparts? I have spoken to Cabinet Secretary Amina Mohamed several times about the gradual shift in our policy, most recently during the UN General Assembly meeting in New York. We agreed that Kenya is a front-runner when it comes to facilitating the role of the private sector in development. It means that the horizon of the donor-recipient relationship has come into sight and that time has come for a mature, business-like bilateral relationship between equal partners. The same applies to other partner-countries of the Netherlands such as Indonesia and Ghana, with whom the bilateral aid relationship is also being phased out. This gradual shift of policy is not new and is based on developments in these countries over multiple years. The important thing to consider in all this is that it enables development aid to be spent where it is needed most. By phasing out part of the bilateral programme in middle-income countries like Kenya, Indonesia and Ghana, we can move a part of our aid budget (and the development specialists working at the embassies) to least developed countries. Yes, the decision to phase out aid via the Embassy in Kenya is final. The phasing out of this part of our relationship goes hand in hand with an intensified focus on investment and trade promotion to boost inclusive growth, as well as continued commitment to strong political cooperation. This has been discussed with the Kenyan government and is consistent with both Kenyan and Dutch views on partnership. What does it mean for sectors that have been benefiting from Dutch aid? Already there is panic in the NGO sector over this, how do you hope to help them make the transition? Some scope remains for Dutch funding to NGOs, especially in the field of governance, human rights and strengthening civil society through our programme Dialogue and Dissent, for instance. In our discussions with NGO partners, however, we have consistently prepared them for the gradual phasing out of bilateral aid. This means they have to diversify their funding base and, for instance, look to increase their revenues from domestic sources like individual charity, (local) government and the private sector. What will be the context of any Dutch engagement with Kenya going forward? The phasing out of aid via the embassy certainly does not mean that the Netherlands will disengage from Kenya, quite the contrary. We already have closer cooperation with the Kenyan government compared to what we had before implementation of the “Aid to Trade” agenda. When my ambassador offered his credentials to President Uhuru Kenyatta last year, they discussed the Dutch approach extensively and Mr Kenyatta particularly welcomed the transfer of knowledge and technology to the private sector. Dutch engagement can take place in the context of public-private partnerships. With our partners we discuss and solve issues concerning market obstacles, and we strive for an improved business environment. This way, we hope to further contribute to Kenya’s prosperity and stability, while also developing a broad and mutually beneficial bilateral relationship. In horticulture, aquaculture, dairy and water management programmes we have successfully involved the Dutch private sector. In agriculture we focus on the professionalisation of medium and small enterprises in the market chain, which can serve as a role model for smaller farmers. Youth entrepreneurship is promoted through support of startups and incubators. We have also identified other sectors in which the Dutch private sector could be a driver of innovation and development, such as health, IT, maritime logistics, sustainable energy, blue and circular economy. So it is all business from now on? Business will be important, but not exclusively. We pursue a broad bilateral relationship with a focus on trade, investment and political cooperation. Countering violent extremism, security, human rights, democratisation and rule of law are important themes in their own right. We will continue to co-operate with the Government of Kenya and other stakeholders on these themes. We will increasingly leverage our funds i.e. use seed money to open other sources of finance. Banks, pension funds, insurance companies, investment companies and development funds: a lot of capital is available in the market. We require Dutch companies active in Kenya (more than 200 currently) to practise corporate social responsibility. They should be shining examples of sustainable and inclusive businesses. Through the IFC — the private sector arm of the World Bank Group — and bilateral channels we will continue to support business-climate programmes and support a level playing field for foreign companies. We are looking, amongst others, to strengthen the Judiciary and commercial courts to increase their efficiency and transparency. In addition, we aim to promote mediation as a means of conflict resolution. Kenya has in recent years called for more trade with the Netherlands. How do you expect to support this going forward, especially in evening out the balance of trade? Our embassy will increasingly play the role of a broker, an intermediary that supports and guides promising initiatives, such as organising trade missions. We also founded the Netherlands Business Hub, which provides services to Dutch companies interested in doing business in Kenya. In this regard, I would like to draw your attention to the fact that the Netherlands was this year represented at the Eldoret Agricultural Business Fair by no less than 65 companies. Besides, IFTEX in Nairobi, the third largest flower fair in the world, always has a strong Dutch presence.